When you have a unique coaster, the issues that you can have with it are equally as unique. That seems the case with Volcano: The Blast Coaster. The coaster opened in 1998 and was one of the most technologically advanced coasters of the time, and had some of the biggest problems of any coaster. The park announced Friday night that they would be removing the coaster completely, and that it was permanently closed. The coaster is being completely removed, and by the sounds of it, it’s happening soon. 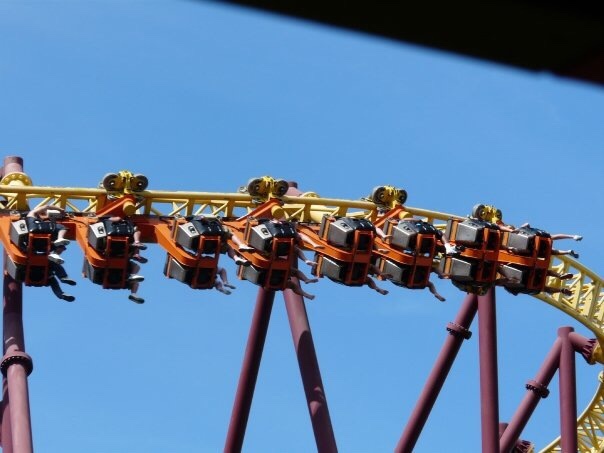 The coaster was an inverted coaster, and was the first launched inverted coaster. It shot riders out of the top of a man made volcano and around the top with maneuvers that weren’t found on any coasters at the time. The coaster is likely being torn down beginning this year to make room for a rumored new coaster which is scheduled to open in 2020.